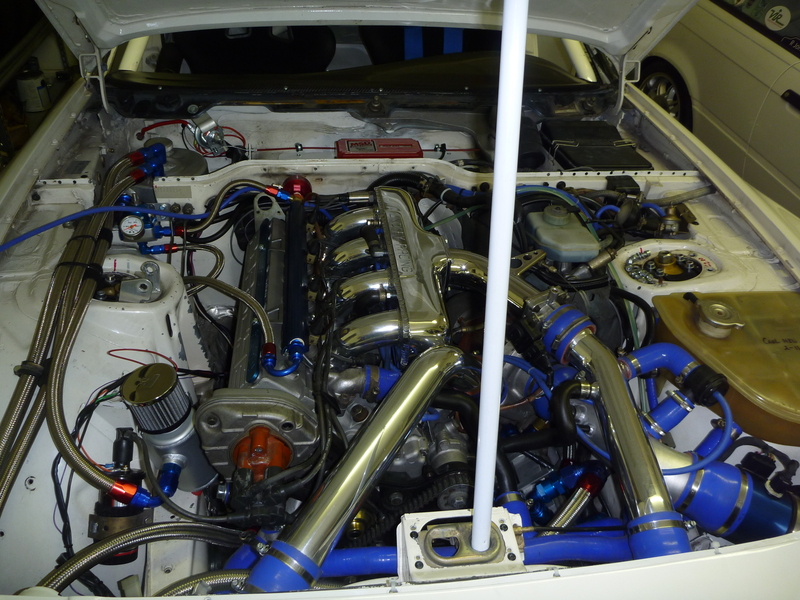 The Lindsey Racing Dry Sump System has set the bar on external oiling systems for the 944/951/968 engines. This systems uses the highest quality Oil Pump, Oil Pan, Brackets and Drives. We have customers all over the world running our system with excellent feedback and results. Simply put... it fits, it works, it's proven and it's available. 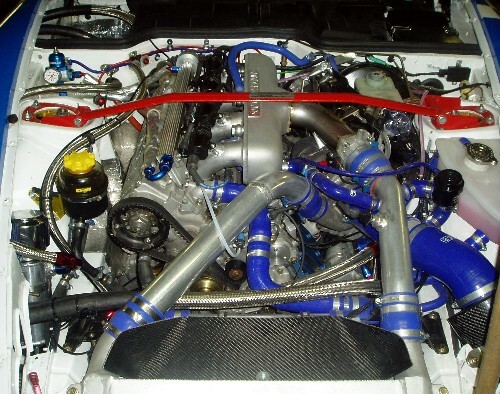 There is more to this system than just the quality parts themselves. 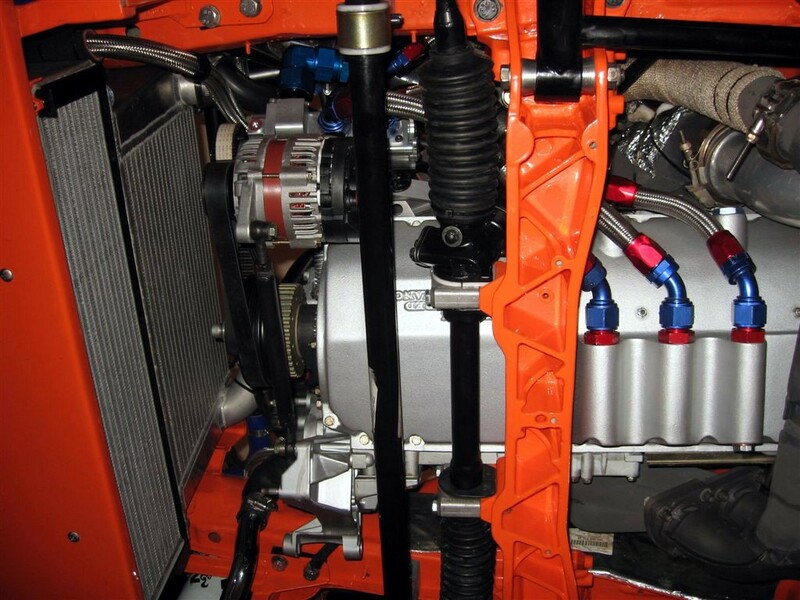 It's the fit and function of the parts. With features like built in air/oil separator and high scavenge/vacuum roots style pump, it doesn't get any better than this. 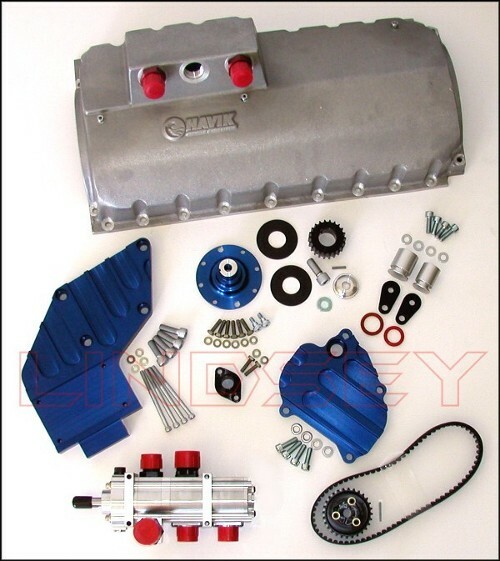 Lindsey Racing oiling systems utilize a high end Dry Sump Pump with Roots Style Scavenge Rotors and Gear Pressure Section supported by our sturdy Aluminum Oil Pump & Alternator Mount Pivot Bracket. 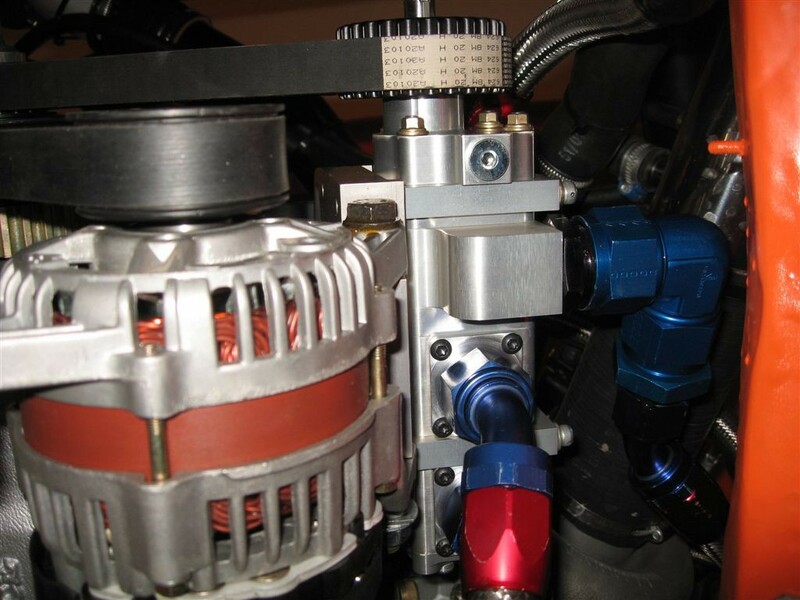 The Small Pump Design has a housing body size of just 2.4" X 2.7" with a weight reduction of approximately 30% over other standard size oil pumps and can safely turn up to 12,000 RPM although you won't be. 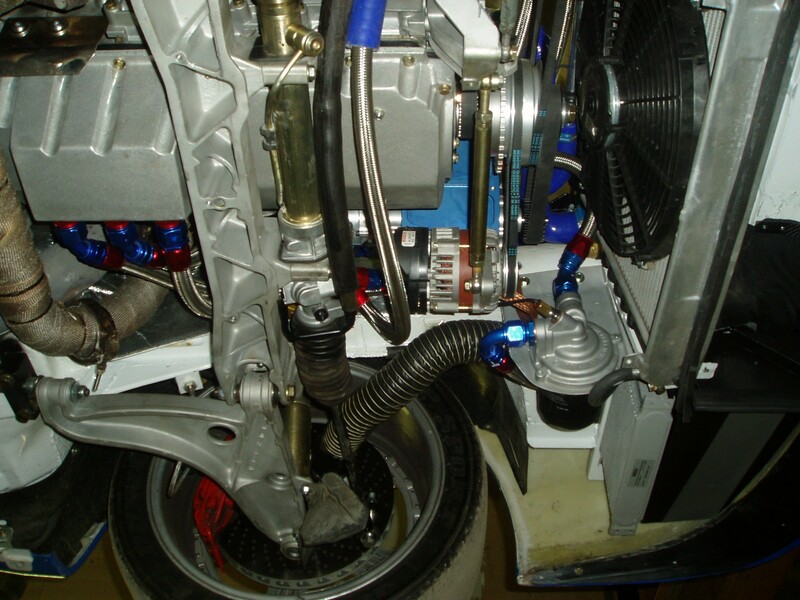 The pumps aluminum rotors reduce the weight up to 25% over conventional Steel gear and Gerotor oil pumps. 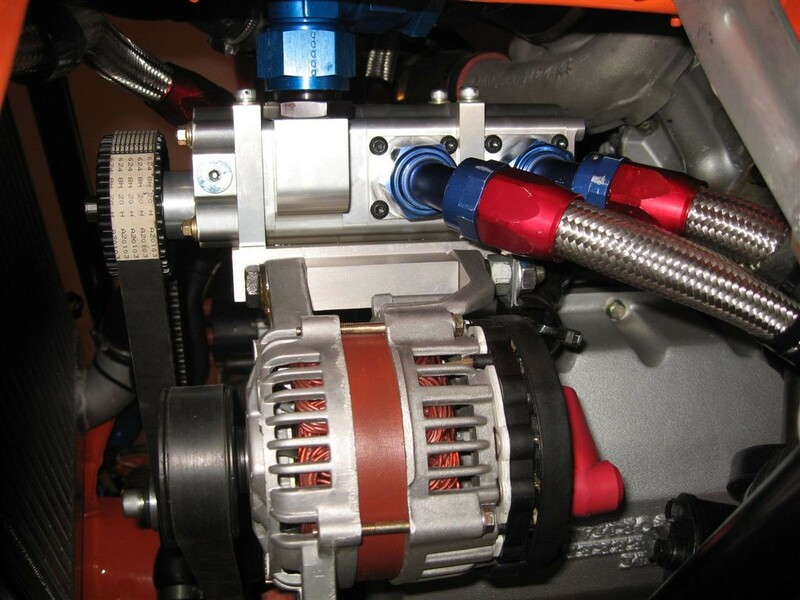 The aluminum housings and rotor combination maintain a constant internal clearance over the entire operating temperature range. 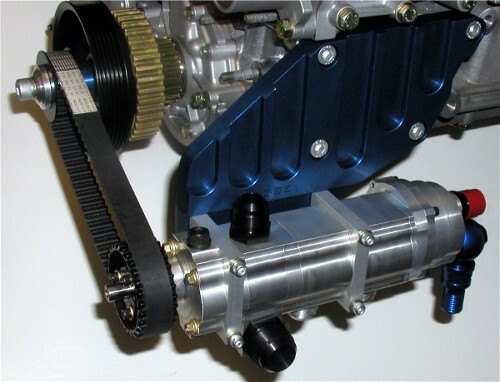 The two-lobe Roots Style design provides up to 50% more volumetric capacity, greater hydrodynamic sealing, and maximum crankcase vacuum than other dry sump oil pumps on the market. Our Roots Style Pump with the pressure section located in the front can be fitted with an "optional" (as shown in above picture) Air/Oil Separator located on the rear of the pump. The Air/Oil Separator routes pure oil (rather than foamy oil / see the videos below) back to the oil tank. This makes it possible to reduce the oil tank capacity for further weight reduction. 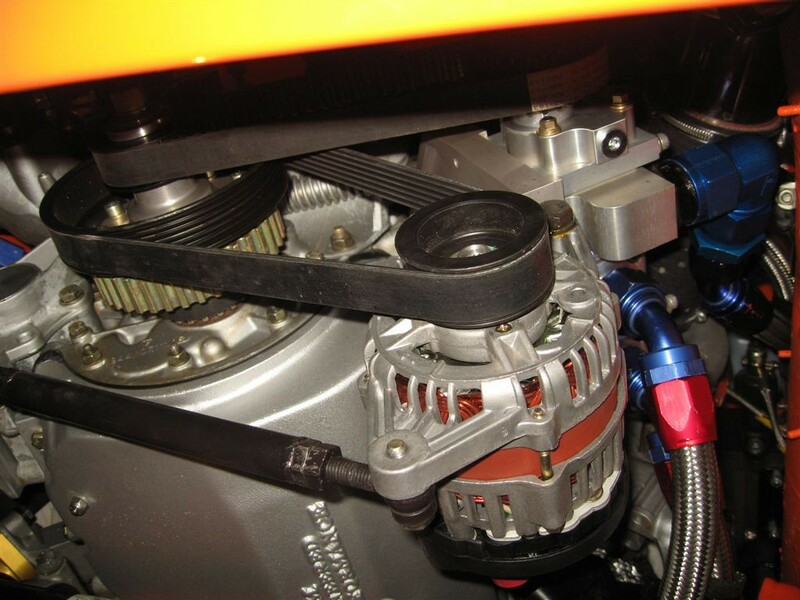 Because pure oil cools more efficiently than foamy oil, this option allows the oil cooler to be installed on the oil pump scavenge outlet if you choose. 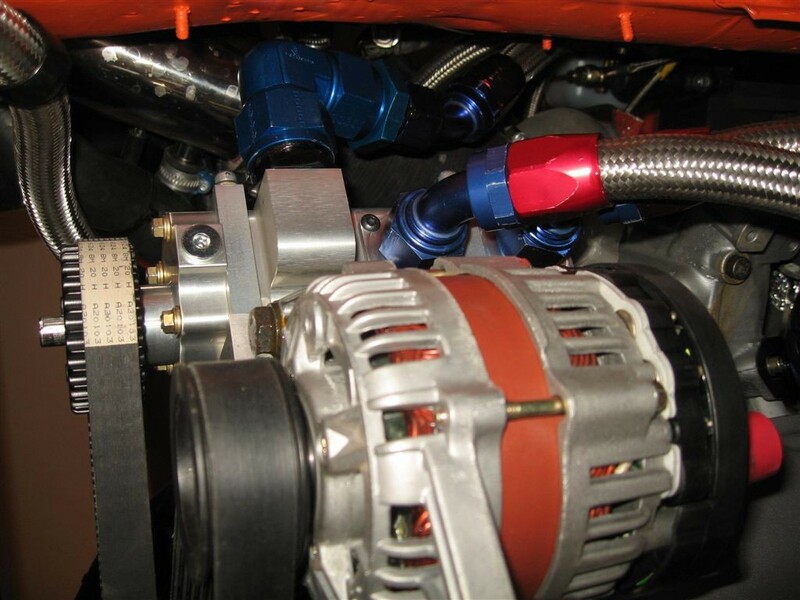 Here are 4 videos showing what a oil separator pump can do versus a standard pump. They used a custom made Peterson Oil Tank with a window so you can see for the first time what goes on inside a oil sump tank. It's a real eye opener to see the foam produced by the standard pump. 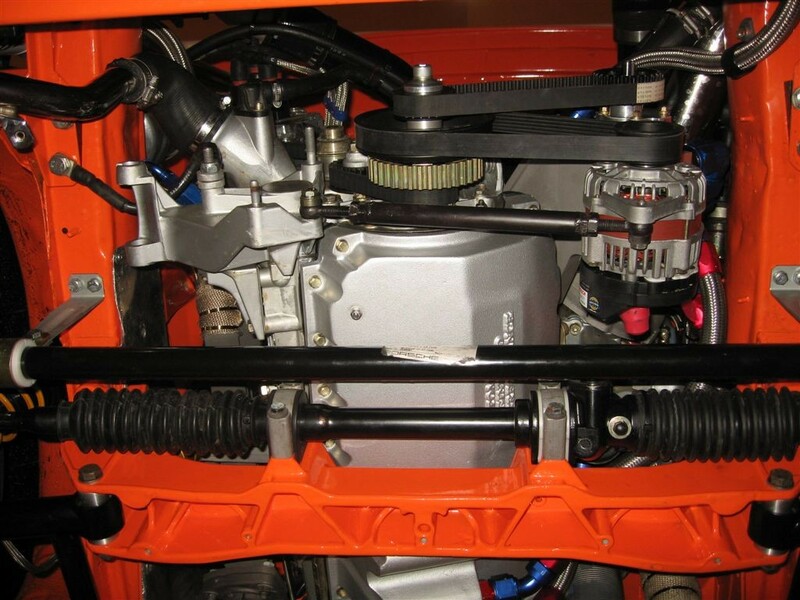 And it's amazing what a oil separator can do, even at sustained high RPM, to minimize foaming. 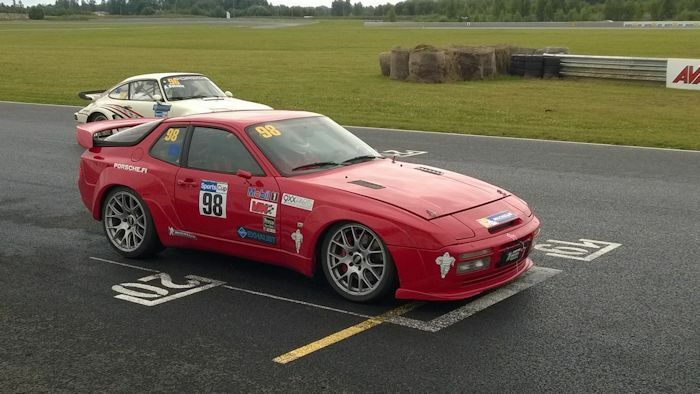 Lindsey Racing feels it's well worth the extra cost for this option. Oil Tank after Engine shut down with standard oil pump showing foam produced. Oil Tank on short engine bursts with standard oil pump showing foam being produced. Oil Tank on longer engine burst standard oil pump showing more foam produced. 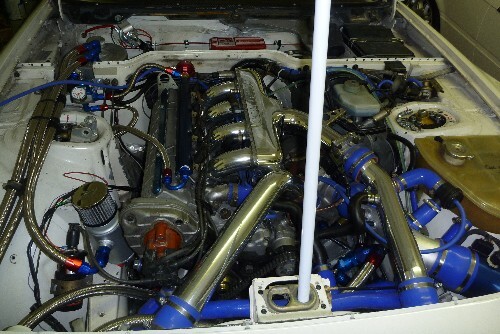 Engine at high RPM with Dailey Oil Pump with Oil Separator showing benefits. Locating the oil cooler between the oil pump scavenge outlet and the oil sump tank produces the most efficient oil cooler location. 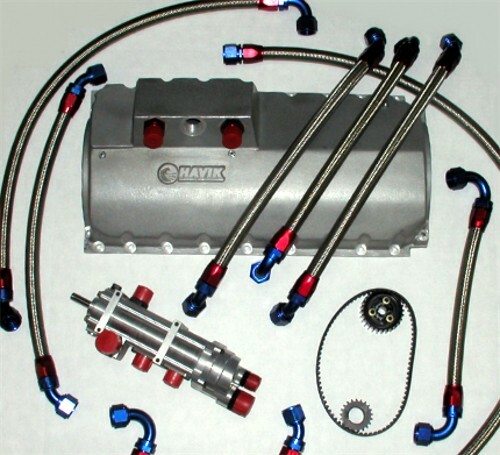 The oil is hottest before the sump tank and this creates the greatest temperature differential for the oil cooler to work at it's best. 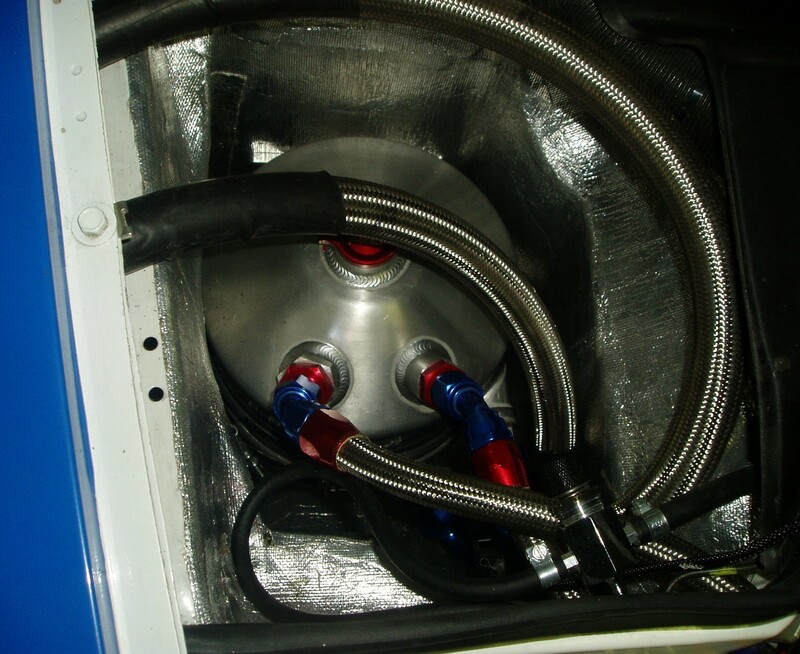 In addition, the oil is cooled prior to the oil sump tank so the oil tank is not radiating as much heat into the location of the oil tank. If in the car, that means you the driver have less heat to deal with. 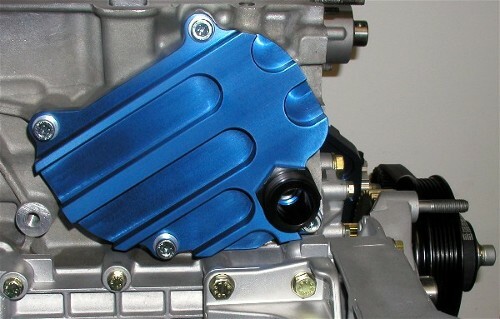 Matching style Oil Feed Plate attaches to the engine block to deliver the oil under pressure from the pump back into the oil galley. 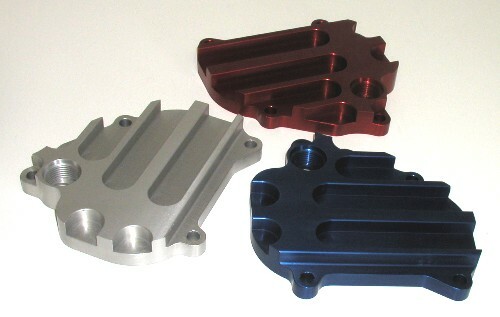 As with the matching Oil Pump Bracket and Crankshaft Drive Mandrill, all components are produced from 6061-T6 Aluminum and anodized in Red, Blue, Black or Clear for years of corrosion free service. 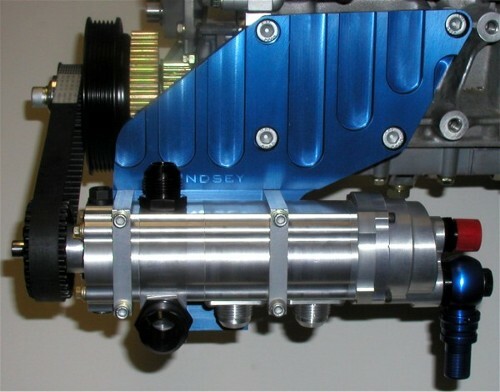 We incorporate a "Radius Tooth" (HTD) Drive Belt from the Lindsey Racing Crankshaft Drive Mandrill to the Roots Style Oil Pump. This superior belt and pulley combination means less friction and drag than V-belt, serpentine or Gilmer (Square Tooth) designs hands down! 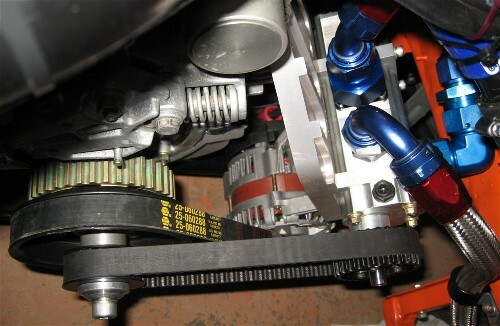 Required belt tension on a Radius Tooth belt is one-tenth that of a serpentine belt and half that of a Gilmer design. Less belt tension means less frictional loss and more Horsepower. Less belt tension is much easier not only for the bearings in the Oil Pump itself but the engine's main bearings as well. Some other things to think about regarding belts are Radius Tooth Belts will outlast a Gilmer design belt 3 to 1. Radius Tooth Belts are also 3 times stronger than a Gilmer design. 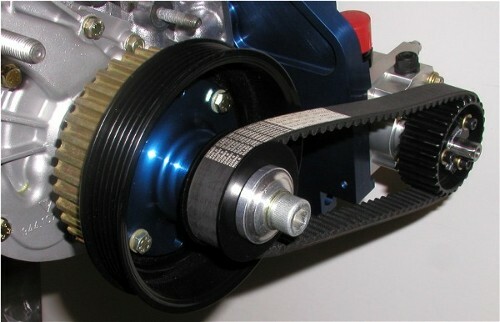 Radius Tooth Belts run with less vibration or slapping than a Gilmer style belt because of the more friendly fit of the round profile versus square tooth design belt. 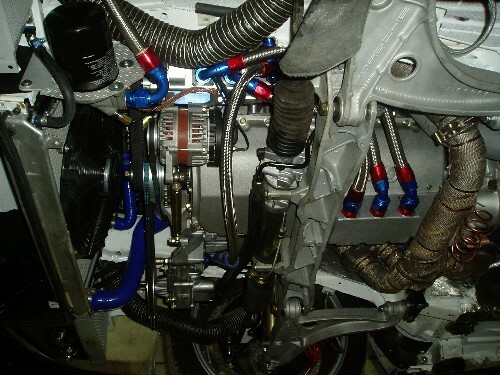 Pictured above is the system in Blue with the standard oil pump. Weight 23.6 Pounds. Pictured above is the system in Red with the oil pump with the built in oil separator. Weight 24.2 Pounds. 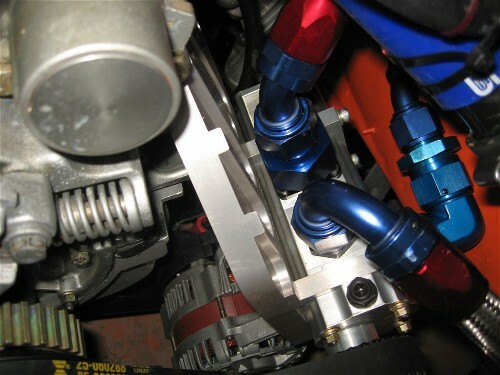 Our dry sump kit only comes with the fittings you see in the kit pictures above mounted in the oil pan and the oil pump. We can supply any oil lines you need as well as supply fittings. 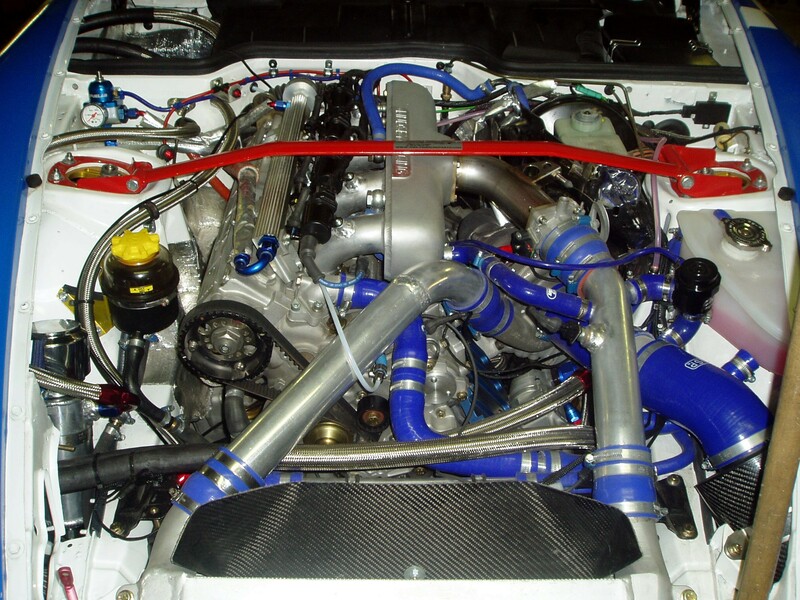 Once you determine the lengths of hoses and fitting, we can build them for you. 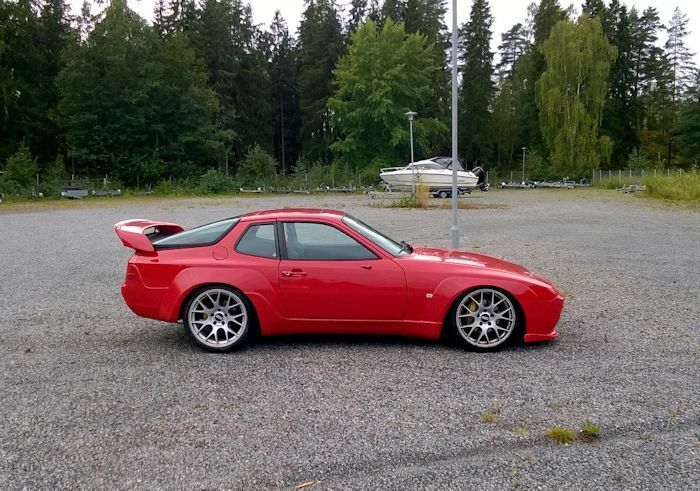 Custom! 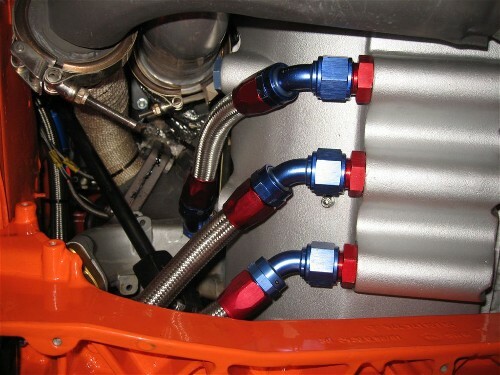 Hoses will be pressure tested if the fittings are installed for no additional charge.